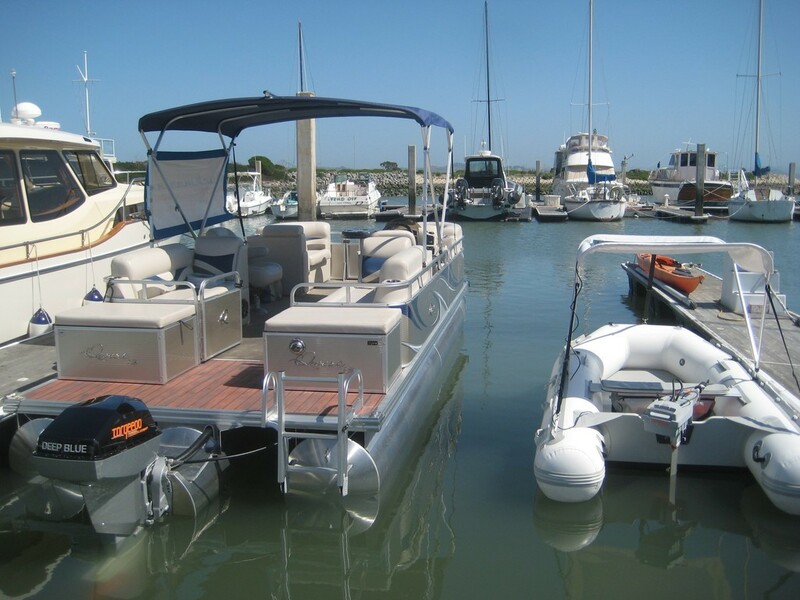 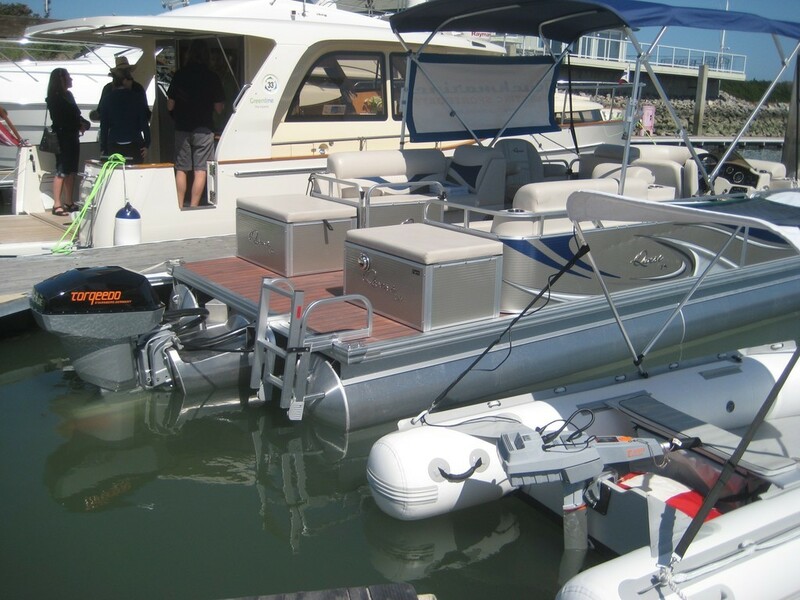 Torqeedo has partnered with Apex Marine to develop the Apex 822 TT RLS Triple Tube Luxury Pontoon, powered by the Torqeedo Deep Blue 80 electric outboard with dual lithium-ion batteries. 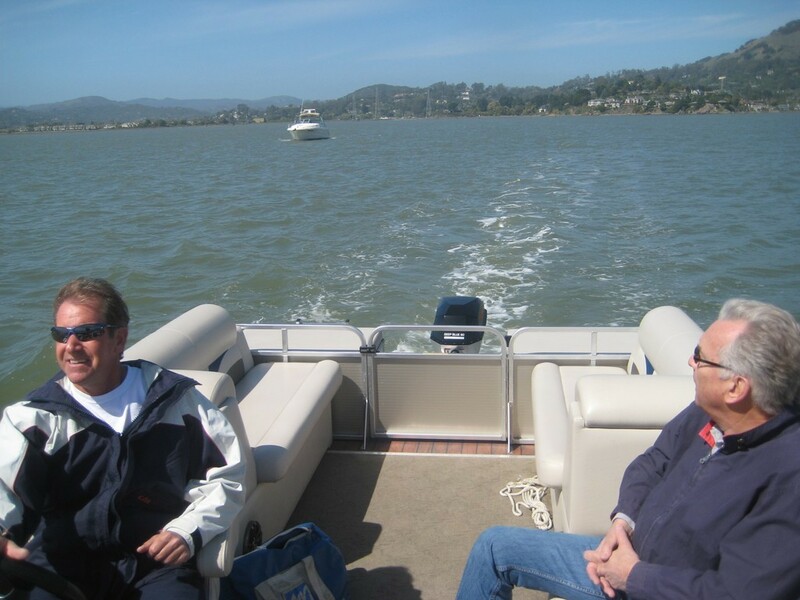 Ruckmarine has been testing and demonstrating the boat in the San Francisco Bay Area and Lake Tahoe, and is finding this to be an outstanding application of electric propulsion for recreational boating! 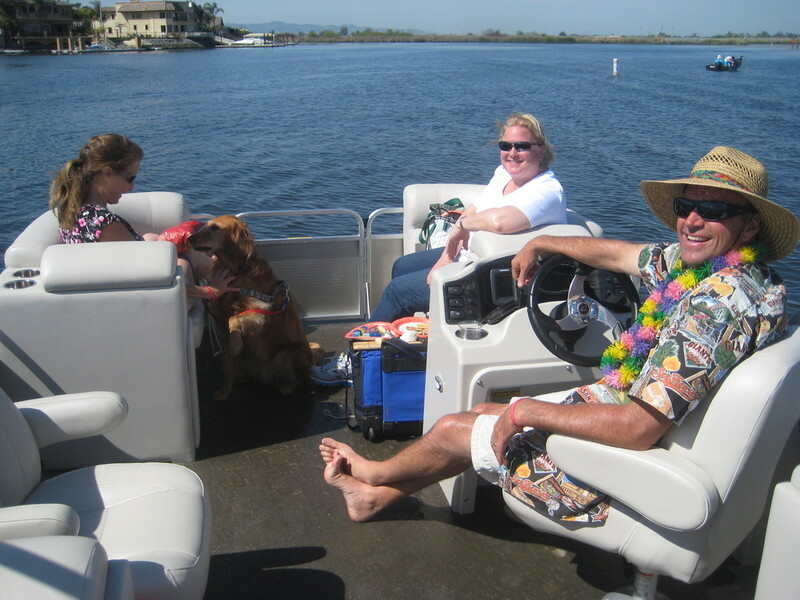 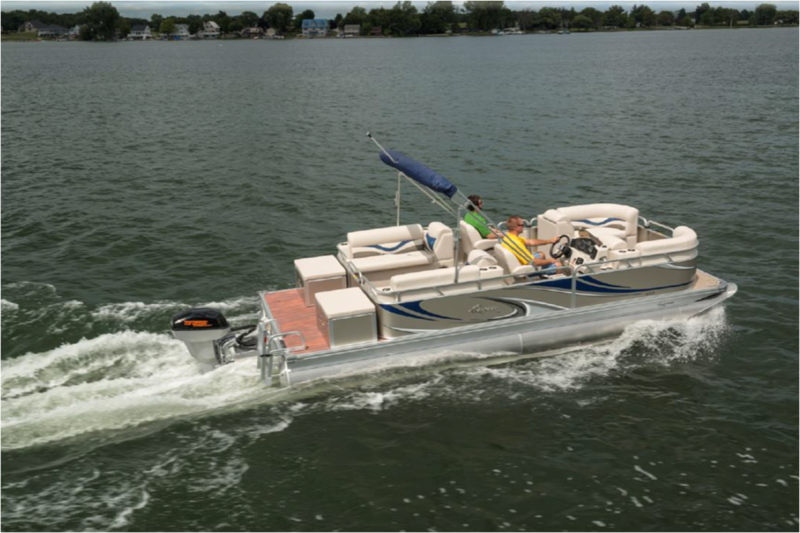 The Apex Qwest LS with Deep Blue can run for hours at typical pontoon boat speeds, yet also has enough power to pull the kids on a tube or make a high speed run to your favorite destination. 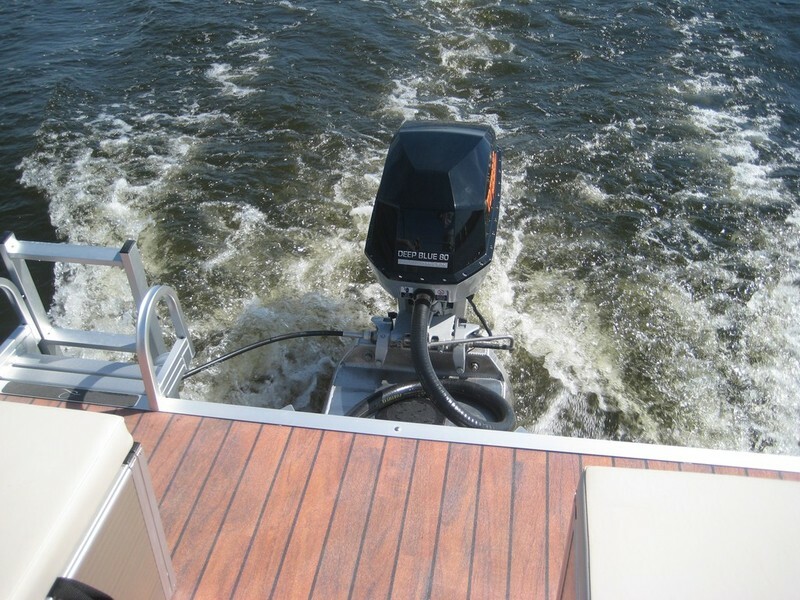 And it does all of that cleanly, quietly, safely, and with minimal maintenance! 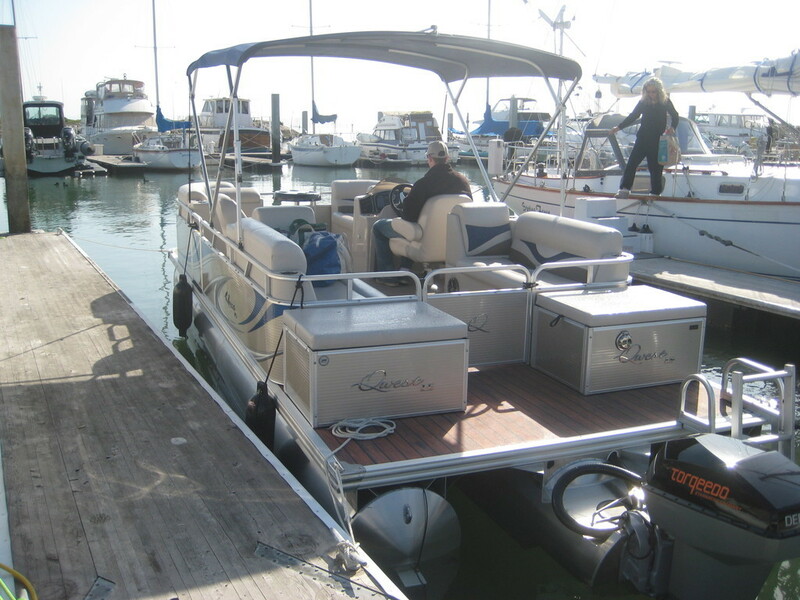 Contact Scott at Ruckmarine to learn more about this exciting new development in electric boating!